Offer ends April 30th at 5pm! *Offer available March 11, 2019 to June 14, 2019. Rebate requires purchase of qualifying items and submission of a completed rebate form (with proof of purchase) to www.lennoxconsumerrebates.com no later than July 5, 2019. Rebate is paid in the form of a Lennox Visa prepaid debit card. Card is subject to terms and conditions found or referenced on card and expires 12 months after issuance. Conditions apply. 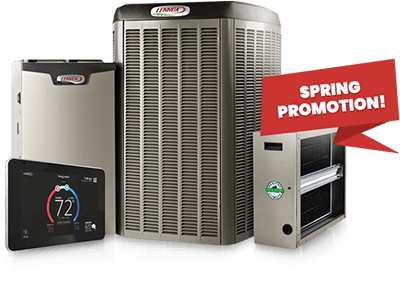 See www.Lennox.com for complete rebate terms and conditions.